Arirang TV/Radio's objective is to burnish Korea's image in international communities and to improve relationships with foreign countries through close cooperation with broadcasting companies overseas. Arirang TV/Radio is dedicated to the development of broadcasting, media, and the advertising industry, along with the advancement of culture and art. Arirang's core business is to deliver programs worldwide via satellite 24 hours a day in order to improve the image of Korea. As a representative English broadcasting station based in Korea, we provide news and entertainment on Korea for the international community. Arirang TV/Radio is Korea’s global broadcast service. 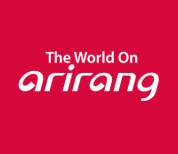 Arirang TV/Radio operates international television, Internet and domestic television services. 2005. 06. 27 Arirang TV/Radio adopts the new name, "arirang"
The International Broadcasting Foundation is a representative global international broadcasting station that promotes Korea to the world and a proud national broadcasting station that contributes to the improvement of the awareness of Korea as a national brand. We reflect the international human rights standards as the criteria of right actions and value judgementfor human dignity and value enhancement in all of our business management activities, which our executives and employees must comply with in order to implement human rights and ethical management. One, We establish and execute policies and systems needed for the building of a human rights management system so that the value and principle of human rights are practiced in the daily management activities of our executives and employees and take root as a custom and culture within the organization (Establishment of human rights management system). One, We do not discriminate any persons concerned, including our executives and employees, on the basis of their race, religion, disability, gender, birth place or political opinion (Nondiscriminatory employment). One, We guarantee the freedom of association and collective bargaining in order to protect and enhance our employees’ human rights (Guarantee of freedom of association and collective bargaining). One, We prohibit any form of forced labor or child labor (Prohibition of forced labor and child labor). One, We create a safe and hygienic working environment to guarantee industrial safety and health rights (Guarantee of industrial safety). One, We make endeavors toward a mutual development with our cooperative companies, and support and cooperate in order to achieve human rights management (Management of responsible cooperative companies. One, We respect and protect the humans rights of local residents within our business activity management areas (Protection of local residents’ human rights). One, We comply with domestic and foreign environmental laws, and strive toward environmental protection and prevention of environmental disasters (Guarantee of environmental rights). One, We strive to not cause any harm to the people’s safety during our business projects, protect all personal information accumulated through work, and guarantee the information access rights of our customers and consumers (Protection of customer and consumer human rights).